In New Hampshire, you need to be a licensed paramedic in order to work in the state. Any person looking to become a paramedic in New Hampshire will need to meet the following requirements before a paramedic program will accept their application. · You need to have your EMT-Basic or EMT-Intermediate license for the state of NH. Remember that being state licensed/certified is not the same thing as being Nationally Registered. 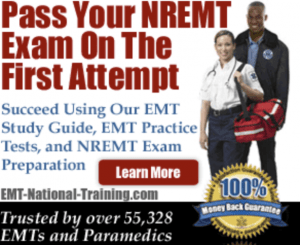 The NREMT (National Registry of Emergency Medical Technicians) is a non-governmental agency that registers and maintains a database of certified EMTs. You can learn more at www.nremt.org. · You will likely be asked by a college/paramedic program to provide references, as well as show proof of immunizations (such as Hepatitis B), and likely submit him or herself to a criminal background and/or drug screening. Things like a valid driver’s license, health insurance and a copy of one’s Social Security card, too, will need to be provided. · Also, do note that applying to a paramedic program isn’t something one can necessarily do free of charge. At The New England EMS Institute at Elliot Health System, prospective students will be required to pay a paramedic program application fee of $60.00. You will want to make sure that whichever paramedic training program in New Hampshire you select is an accredited program. Where can I find an accredited paramedic training program in New Hampshire? No, typically not, although experience is often preferred or encouraged by program directors. Remember that experience does not necessarily mean paid job experience. Many students gain valuable experience by volunteering. This is harder to quantify, especially since Nebraska follows a more competency-based curriculum rather than counting or tracking hours. Typically, you can expect to participate in a program anywhere from six months to two years. At the New England EMS Institute, a program approved by both the New Hampshire and Massachusetts state EMS offices, students can expect to pay $9,500 for tuition. The course lasts 16 months. Once you pass the NREMT, you’ll be able to apply for state licensure so that you can practice as a paramedic in the state of New Hampshire.